Only a couple more weeks left of the Occasions catalog, but then our NEW annual catalog comes out! 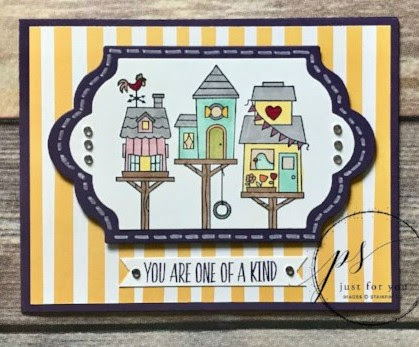 Here is a project that uses a stamp set and Designer Series Paper from the Occasions catalog and changing out the sentiment makes this card very versatile. Stamp bird houses with Memento black ink. Stamp sentiment on Whisper White scrap and trim long sides so it’s about 3/8” wide. Using Paper Snips, cut banner ends on sentiment. Add one rhinestone to each side. 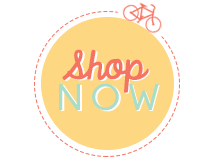 Order any of these supplies by clicking to my ONLINE STORE.